Adding 2-FA is a great idea, but Motiv has a lot of kinks it needs to smooth over. Smart rings are a tricky thing to get right. 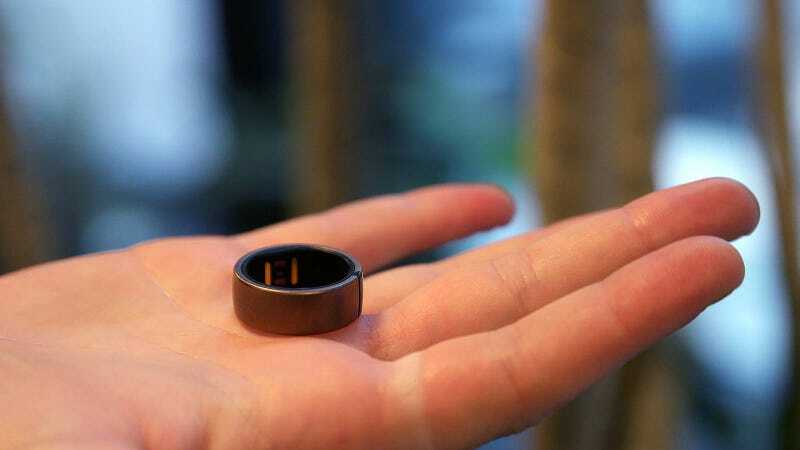 Tech companies have a hard enough time miniaturizing all the necessary sensors into a watch, let alone a ring. That’s why the Motiv Ring was compelling when it launched in 2017—it stuffed three days of battery life, heart rate monitoring, and your usual step and activity tracking into a sleek and chic ring. When you consider that, the Motiv Ring is pretty impressive from a technology standpoint. But at $200, its middling accuracy made it more of a niche wearable. It was comfortable to wear to bed, and didn’t look like utter trash, but couldn’t really offer much in the way of smarts, like notifications, the same way wrist-based trackers could. But a recent update made it so you can now use the ring as a form of two-factor authentication for a wide variety of popular sites including Amazon, Google, and Facebook. The short of it is, the ring connects to your computer over Bluetooth. You then go to the supported site where you will have the option to view a QR code. You scan it with the Motiv app on your phone and your ring is then bound to the site and can securely log you in. Strategically, the addition of 2FA is a pretty smart move for a wearable that’s always going to play second fiddle to smartwatches, which can just do more for a similar price. Doing this looks really stupid. While it’s nice that you’re not reliant on the gesture, it’s frustrating and defeats the purpose of this otherwise very cool idea. If I have to whip out an app and look up codes, Motiv isn’t different from any other authenticator app. Also disappointing is its WalkID feature, which is still in open beta, with no exact timeline for when it’ll be available. This was supposedly, going to act as a form of biometric authentication where the ring would be able to identify you by your unique gait. So, if someone else put on the ring, it’d theoretically be able to tell and wouldn’t log you into your 2FA-enabled sites. Again, a very cool idea, but one that would need to be executed flawlessly if it’s going to work. Geek Trivia: The USB in “USB Cable” Stands For What?